HomeTOEFLTOEFL SPEAKING Format 8 has examples taken from previous exams. August 8, 2018 julia TOEFL Comments Off on TOEFL SPEAKING Format 8 has examples taken from previous exams. 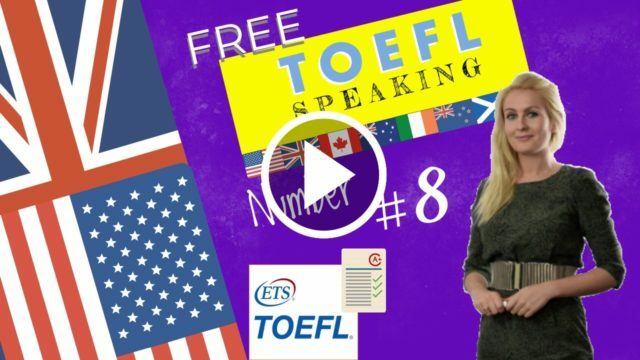 Preparation for the toefl speaking format.The toefl format is designed to evaluate the English speaking proficiency of students whose native language is not English but who want to pursue undergraduate or graduate study in an English-speaking context. The Speaking test is one of four sections of the TOEFL test. In the TOEFL Speaking section, examinees are asked to speak in response to material that they hear or read (or both).